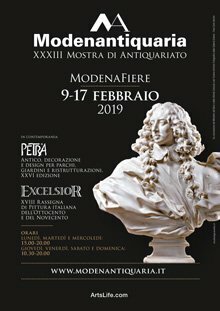 Now at its 33nd edition, Modenantiquaria is among the most representative expressions of the antique arts market in Europe. With an antique heart, it looks on collecting as the lifeblood of the artistic and cultural history of Europe, and with its renewed spirit, it is fully aware of the new dynamics and the most up-to-date requirements of the antiques market, collectors and the general public alike. 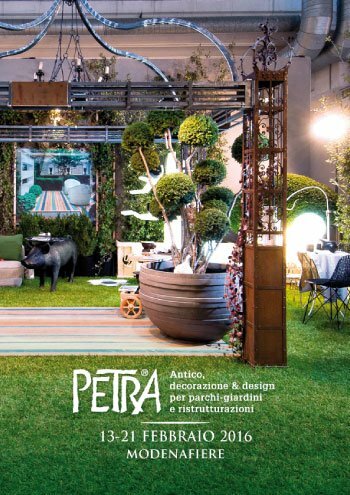 On a European level, Petra offers a wide-ranging and original vision of antique art for outdoor spaces. A series of fascinating and visually-striking solutions put forward by leading antiques dealers and designers, aiming to stimulate the creation of unique and exclusive environments. Petra is a crucible of ideas for home and country, the seaside cottage, the mountain chalet or the hunting lodge. The painting event Excelsior focuses attention on late 19th-century Italian painting and provides a prestigious showcase for refined artworks. Here the galleries present a vast repertoire of 19th-century painting, featuring works by the key representatives of the various regional Italian schools: from the Tuscan macchiaioli to the Neapolitan painters, from the Venetians to the Lombard scapigliati, without overlooking Emilian and South-Italian artists. How to get to ModenaFiere:. The exhibition center is 20 minutes drive from Bologna Marconi Airport. The train station in Modena is linked with the major Italian cities; further information at www.ferroviedellostato.com . From the train station, take bus n. 9, which goes directly to the exhibition center (bus stop “Fiera”, near the entrance).